The tomboy heroine of this manga, a first year at Crimson Field. Her favorite thing to do is to play volleyball and even left her family's house because her mother was against her playing. 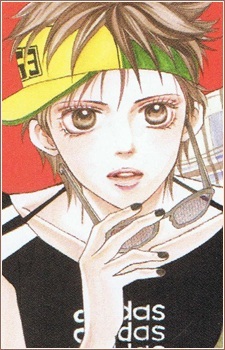 She has had no interest in boys, until she starts developing feelings for Yuushin. Unexpectedly, one night at the training camp, she accidentally tells Kanako that she likes Yuushin just as he and the other volleyball members come out. When Yuushin rejects her, she unexpectedly tells Yuushin that he is a coward and that she doesn't want him to do anything. She is also aware that Keisuke likes her, but does not reciprocate his feelings and tries to maintain her relationship with him as friends.